It’s hard to find a human being who can resist the salty and crunchy allure of a potato chip. But if you find yourself hovering over the snack table at a party, scratching your arms, willing to sell your bedsheets if it means another taste, it’s time to face facts: you’re addicted to potato chips. Like most addictions, this one won’t do your body any favors. Potato chips have lots of fat, plus the sodium level is pretty high... and by “pretty high” we mean “Redman high.” You’ll find 170-185mg of sodium in an ounce of chips, more if go for a fun flavor like biscuits and gravy. And who’s ever eaten a single, dainty ounce of potato chips? Now, giving up chips cold turkey constitutes cruel and unusual punishment in the United States, so we’ve come up with a few ways to help you ease out of the habit. 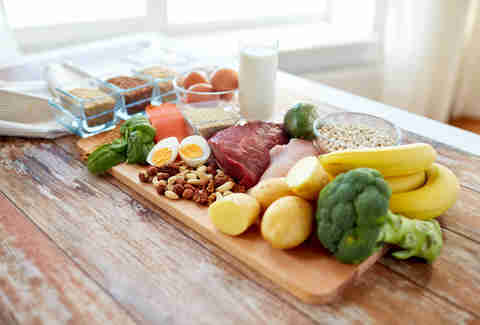 According to Karen Ansel, MS, RDN, and co-author of The Calendar Diet: A Month-by-Month Guide to Losing Weight While Living Your Life, we’re conditioned from the time we’re babies to love salt. “Potato chips provide an alluring combo of salt, fat and easily digested carbs, nutrients many of us naturally crave,” she says. 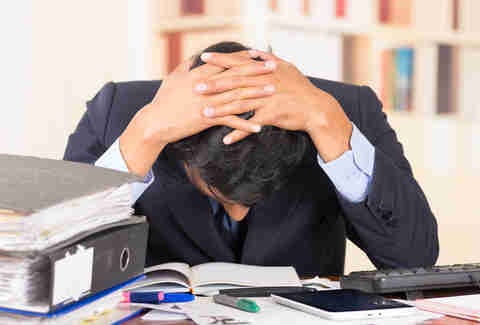 This habit can wreak havoc on your health as you experience low blood sugar after a quick burst of energy. It’s not your fault, son. It’s not your fault. Have you ever found yourself digging into a bag of sour cream and onion chips thanks to a super-stressful day at the office? Of course you have, and you’re not the only one. When you’re stressed, you don’t want a salad. You want junk food. Ansel calls eating crunchy foods a “coping mechanism” for stressful days. So instead of mindlessly stuffing your hand in a bag of chips, try taking a walk outside, going to a yoga class, or another activity that calms your nerves (preferably not something that gives you the munchies). 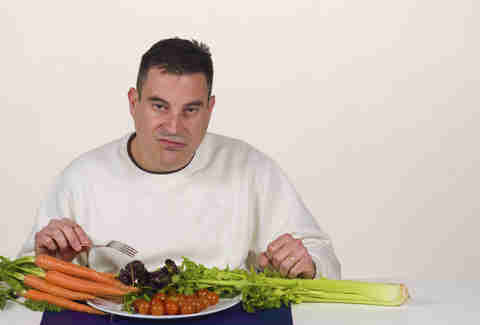 Let’s be honest: who’s ever eaten a pile of carrots instead of some crunchy chips and been totally satisfied? If you’ve tried to kick your junk food habit before, you know that replacing chips with celery sticks is like trying to fly a VW Golf to the moon. So don’t set yourself up for failure by bringing a bag of raw veggies to work. (But you should still eat your veggies at SOME point). So it’s Saturday night and all your friends are coming over to party/watch the game/etc. You don’t have to serve lettuce. Actually, you probably shouldn’t, or you might not have any friends left. Instead, go for some tortilla chips. 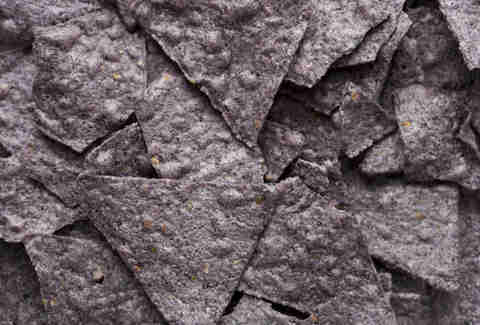 Tirmandi suggests picking brands of blue corn chips that are both non-GMO and organic. “They can usually curb a salt craving, yet the ingredients are generally clean and fully pronounceable,” she says. Your stomach is grumbling at 3pm. You want something crunchy and salty, but don’t want to gain 100lbs. 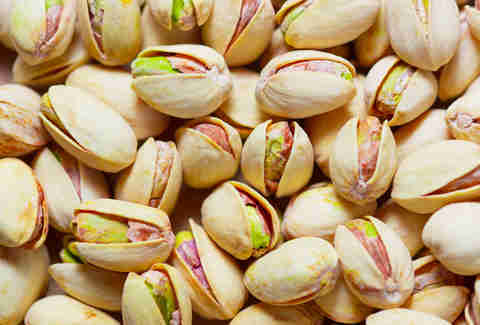 Try some pistachios! Here’s some calorie math (even if you hate math): you can eat 15 potato chips, or you can eat 49 pistachios. Starting to sound good, right? In the old days, before iPhones and the practice of Instagramming every meal you eat, it was totally uncool to bust out some off-brand healthy snack. It usually meant eating something akin to cardboard Now, though, it’s the norm, and the options -- like Mary’s Crackers -- are tastier than ever. But wait, there’s more! Chia seeds expand to many times their size when in contact with a liquid, so many people use them to help control appetite (just be careful with this approach). 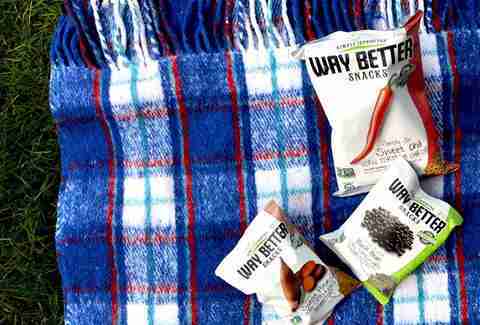 Now that there are chips with chia seeds in them, you can crunch your way to happiness without overindulging. Late July makes a sweet potato version, and Way Better Snacks has corn chips made of flax and quinoa. 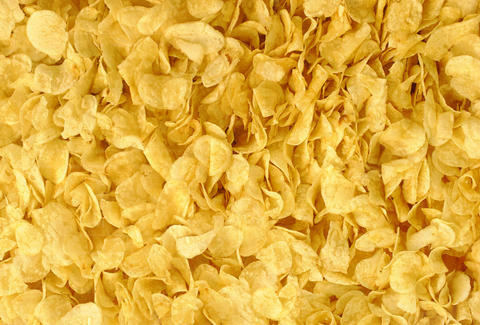 Who doesn’t want to get healthier by eating chips? Dream come true. 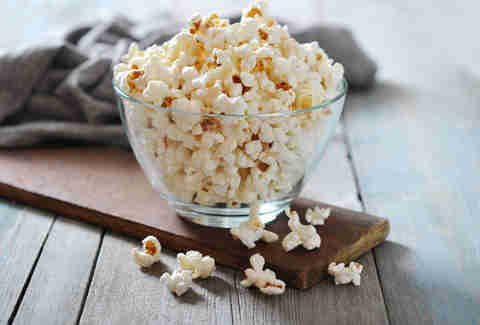 If the recent explosion in popchips POPularity (sorry) is any indication, popcorn is back in a big way. You can get in on the fun by making your own popcorn. It’s a whole grain and you’ve only eaten 30 calories if you eat a cup of the stuff air-popped (butter not included, sadly). Remember how we said not to let anyone tell you veggies are the answer? Well… veggies could be an answer? 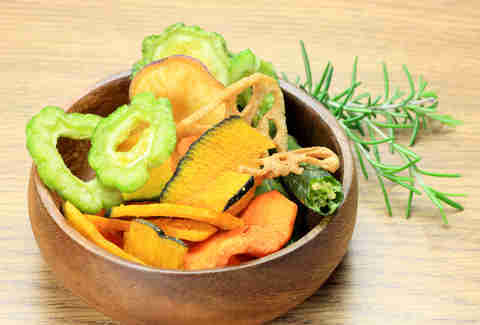 Try making some homemade chips out of veggies you actually want to eat -- sweet potatoes, zucchini, etc. Just chop the veggies super thin, season them with oil and spices or grated cheese, and bake at a high temp. Your chip cravings have been conquered. Aya Tsintziras is a freelance lifestyle writer who can resist potato chips but can't say no to a good French fry (or any French fry). Follow her TV-obsessed tweets: @ayatsintziras.